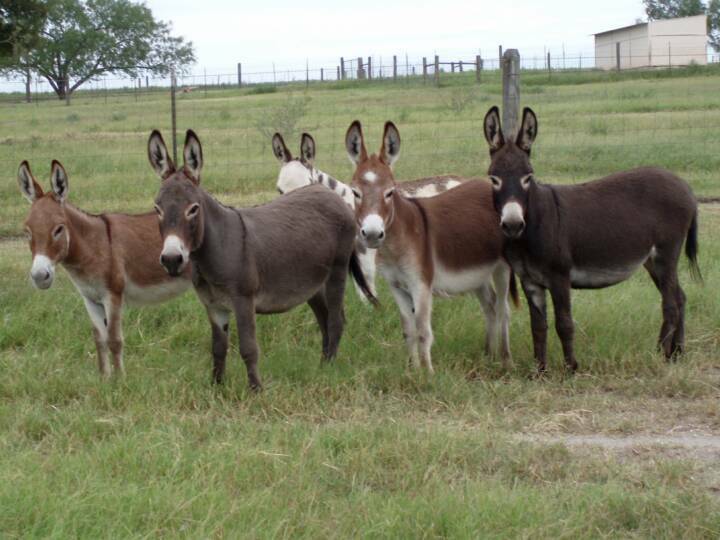 Home to many delightful and colorful Registered Miniature Donkeys . We are located 60 miles south east of San Antonio off Hwy 80 and County Road 354 in Karnes City, Texas on a 167 acre spread of rolling hills and mesquites. At Brayers Are Us, we nuture our minis from the inside out...literally. Emotional and mental considerations are made to promote positive development. Each foal on our farm is imprinted at birth . We feel lots of human contact is very important aspect in breeding and raising these wonderful longears. 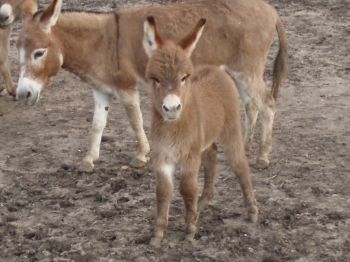 Foals are weaned at 4 -6 months of age. We breed our jennets at 2 1/2 to 3 years of age depending on the overall maturity and structure of the jennet. In our breeding program we concentrate on balance, structure, fluid movement and overall good conformation . Breeding only jacks to jennets with the best attributes that we want to represent our farm. Good bites,straight legs and ideal dispositions. Our motto here is breed for top quality not quantity. Our jennets range in height from 29 1/2"- 34 ". Just as diverse as the sizes are the kaleidoscope of colors we have in our herd. We raise Reds, Spots, Blacks, Gray's and Browns. Physically, we have many steps we take to ensure the overall health of our donkeys. Vaccinations are given and worming and hoof care are done on a routine basis. 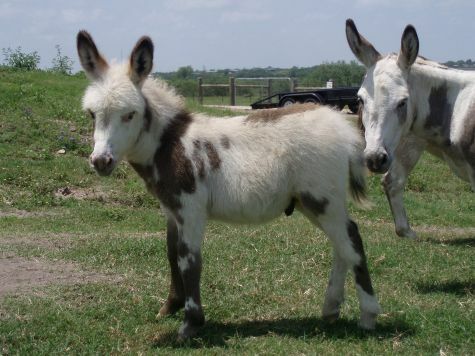 We like to share the joy and love of our miniature donkeys with others. We have been involved with the youth, and have taken them to nursing homes, fairs and festivals .